Impressed by Akshaya Patra’s vision, no child in India shall be deprived of education because of hunger; MTR Foods has teamed up with Akshaya Patra to provide nutritious mid-day meals to more than 2,000 students in 20 schools for a year at Suratkal in Karnataka. The initiative is named as ‘Namma Makkalu, Namma MTR’. This initiative seeks to provide mid-day meals to children in schools with the motive of promoting education and reducing illiteracy. 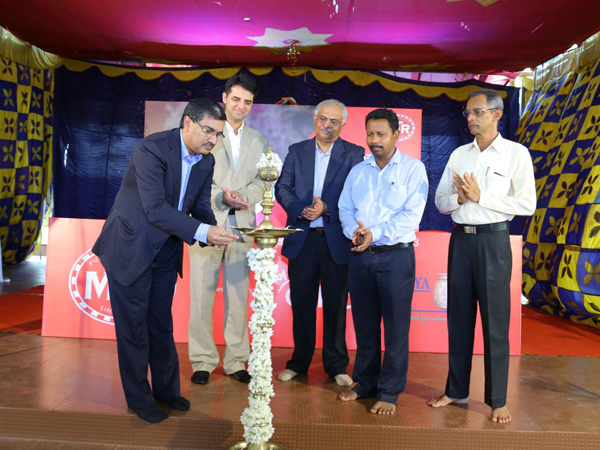 It was inaugurated on 23 September, 2015 at the Government PU College, Katipalla, Mangaluru by Sanjay Sharma, CEO, MTR Foods; Ganesh Shenoy, Vice President, IT and Finance, MTR Foods and Sundeep Talwar, Chief Marketing Officer, TAPF. The ‘Namma Makkalu, Namma MTR’ programme is jointly funded by MTR Foods and The Orkla Friends Fund for the cause of improving health and nutrition in India.